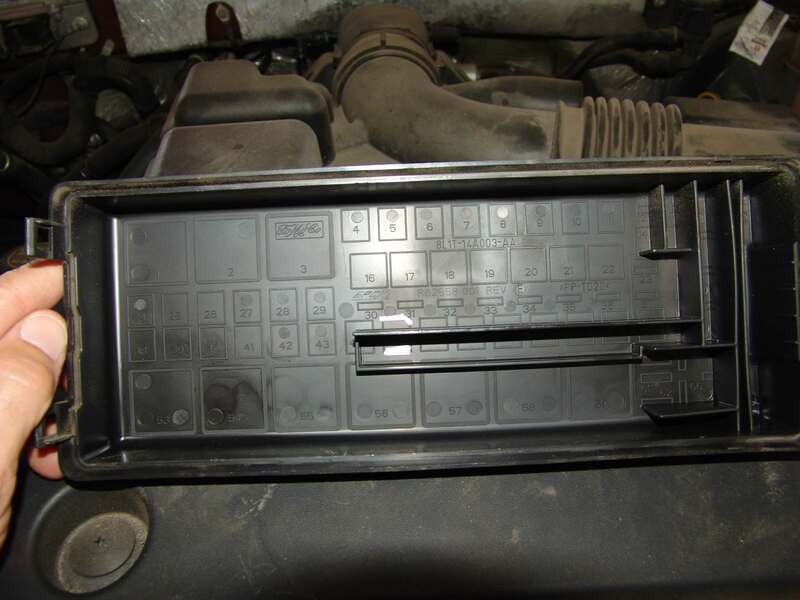 This 2008 Ford Expedition came in with the power seat not working. testing found that fuse number 45 in the underhood fuse box was blown. The problem was intermittent so I installed a new fuse and marked it’s location on the fuse box cover. The customer was on her way out of town so there was not enough time to locate and repair the problem. 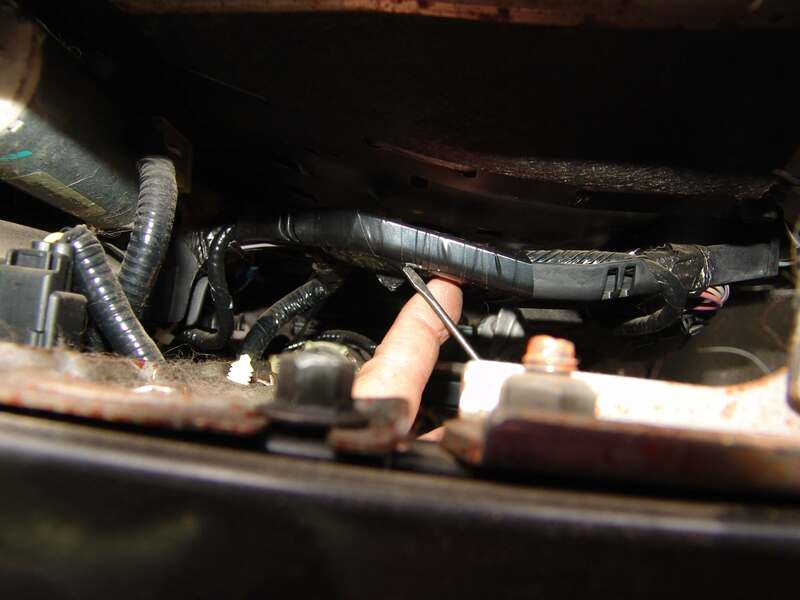 When the customer returned a few weeks later and dropped the vehicle off I started searching through wiring diagrams and inspecting the vehicle. This vehicle has a power seat system that is referred to as 10 way with memory. Because of this most of the functions go through the Driver’s Seat Module (DSM). 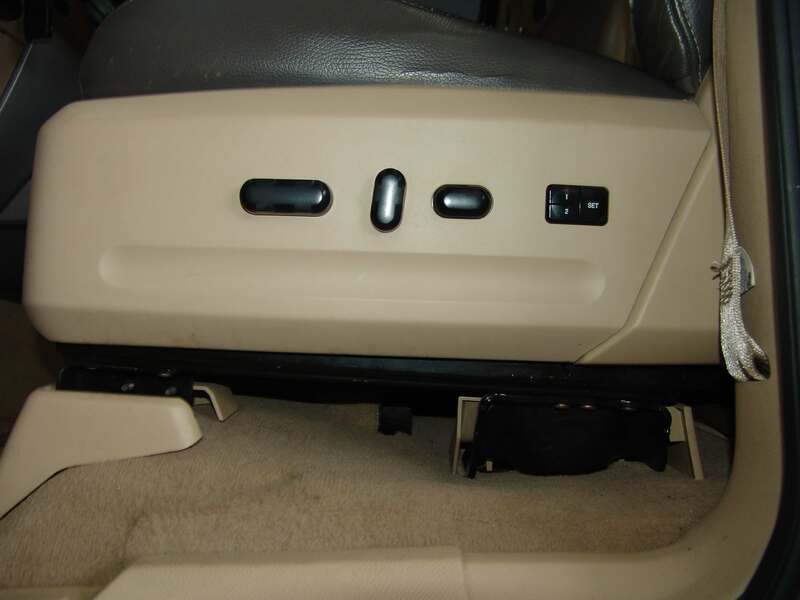 The problem that this causes is that the driver’s power seat, the adjustable pedal system and the power mirrors all integrate with the DSM. 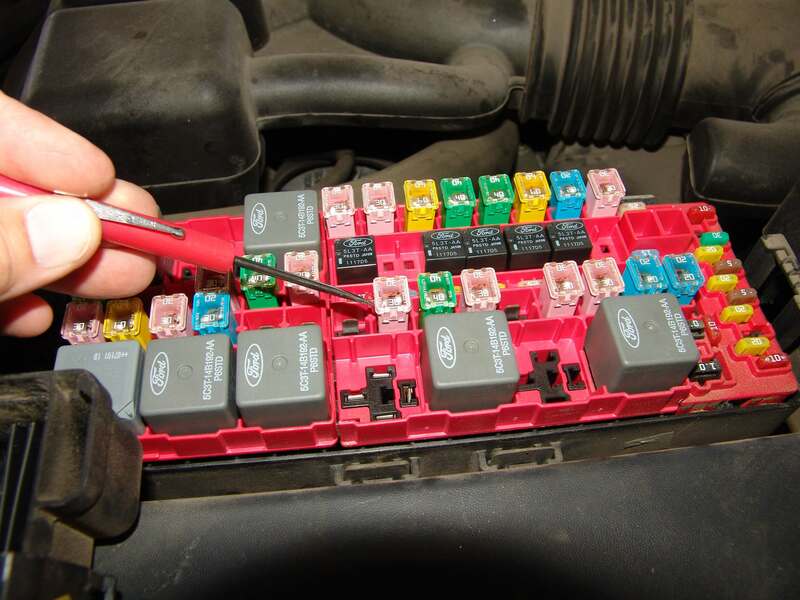 Service information nor wiring diagrams do not specify which of those circuits may or may not be integrated into the fuse #45 circuitry. The mirrors were easy enough to take out of the equation since they worked with fuse number 45 removed. I pulled the knees bolster panels under the steering column and inspected the wiring harness routing for signs of rubbing and found none. 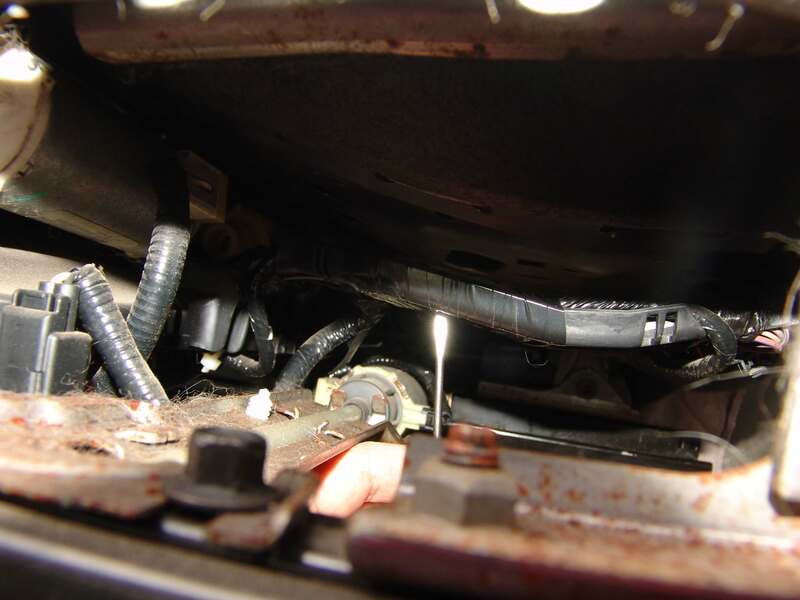 I then pulled the driver’s seat out of the vehicle and inspected the wiring. It was quite difficult to find but after doing so I realized it could have been located and repaired without pulling the seat. The front panel of the seat (not shown) unsnaps from the seat by pulling it straight out. 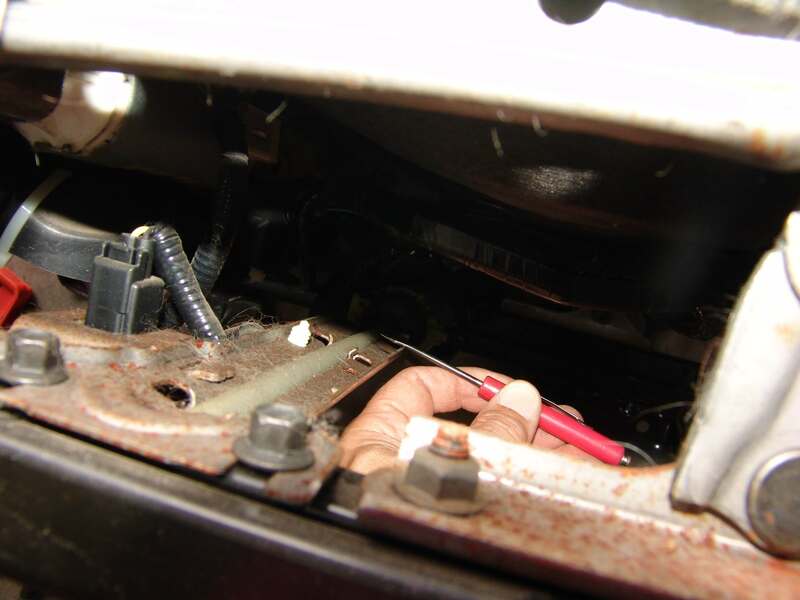 Then there is one screw on the front corner of the side panel that needs to be removed before the side switch panel can be removed. With the switch panel out of the way the inner support bracket can now be removed. There are several phillips headed screws that hold that panel on. 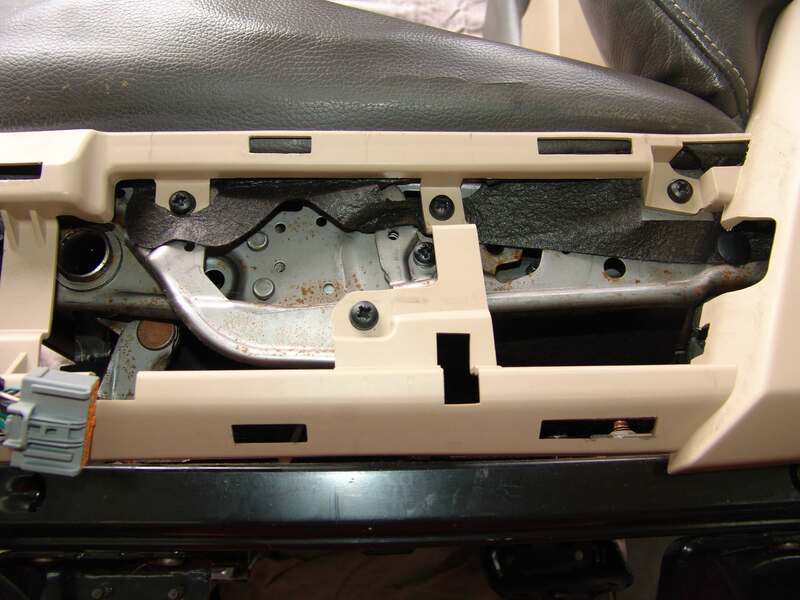 There are also a couple of slide/slot holders at the lower edge that require sliding the bracket to remove it. Unfortunately I had already located, repaired and secured the damaged wiring before I had gotten around to thinking about documenting this repair. The area that I am pointing to in the next picture with both my finger and a screwdriver is a plastic trough that the wires are supposed to be resting in. Well since I am discussing this they were not secured in this location. Instead they were hanging down …. … and would occasionally rub against this bracket. The signs of rubbing were barely visible and I had to use a magnifying glass, bright flashlight and careful inspection to be sure I had found the spot. The wire that was shorting out was purple with and orange tracer and supplies power to the back rest recliner. I wrapped tape around the wound on the purple/orange wire to seal it and then carefully wrapped the trough with electrical tape to keep the wires secured inside the trough.